Phil and Buzz are teenaged cousins who join Buzz’s naturalist parents and little sister, Kitsy, on a summer-long research trip to the North Rim of the Grand Canyon. 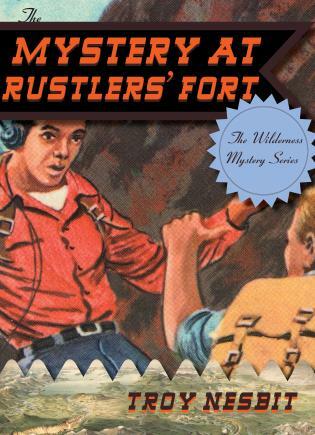 It is the height of the 1950s uranium boom in the Southwest, and the boys sneakily get hold of a Geiger counter to hunt for the element, not realizing that mining is illegal in the national park. Still, the Geiger counter helps to solve a mystery that has plagued the campers all summer long: the constant presence throughout their adventures of a strange character they call "The Dinosaur." Along the way, the boys are introduced to the canyon’s natural history, from Kaibab squirrels to mountain lions, bats, and more.